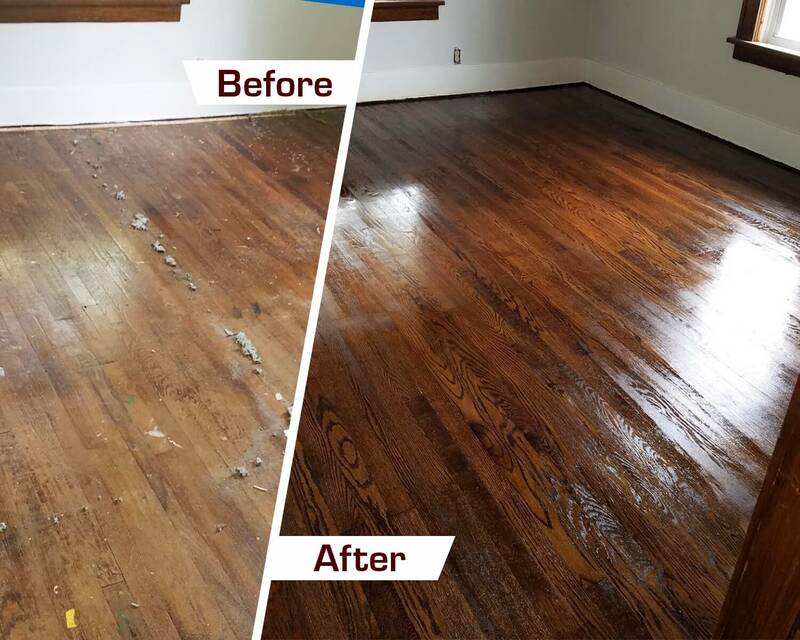 Have your hardwood floors seen better days? Give your floors a makeover they deserve. Fabulous Floors Michigan has years of experience that set us apart from other hardwood flooring companies. We’ve ensured that not only are our representatives trained in the actual hardwood floor refinishing process in Auburn Hills but that they are also equipped and trained to handle of your customer service needs, resulting in a more thoroughly enjoyable interaction and service. We want to ensure that your experience is just as good as all your neighbors in Auburn Hills, MI who give us rave reviews! Our technicians are skilled and our equipment is top-of-the-line. Call today to set up your appointment and see the magic in your own home. You can be confident that your floors are in good hands. We have been in the hardwood floor renewal business for several years! Trust us as the best hardwood refinishing company in Auburn Hills, MI. First, we sand down all the existing hardwood floors to remove any nicks or scratches that may have accumulated over the years. Next, we stain the floors the color of your choice. We have a vast array of stain colors from which to choose, so you can be sure that you’ll find something to match your taste and current decor. Finally, we apply a coat of polyurethane to give the wood that nice gleam, and also to help protect against future accidents that could scar the floors. You will be amazed at the beauty that has been trapped in your floors. Give us a call today to talk about our service or to see when you can get our talented team into your home. Bring back the beauty of your hardwood floors today!